You can use emojis to say almost anything, and most of us have a favorite. A new map, created by the business Swift Key, shows the most popular image in each state. 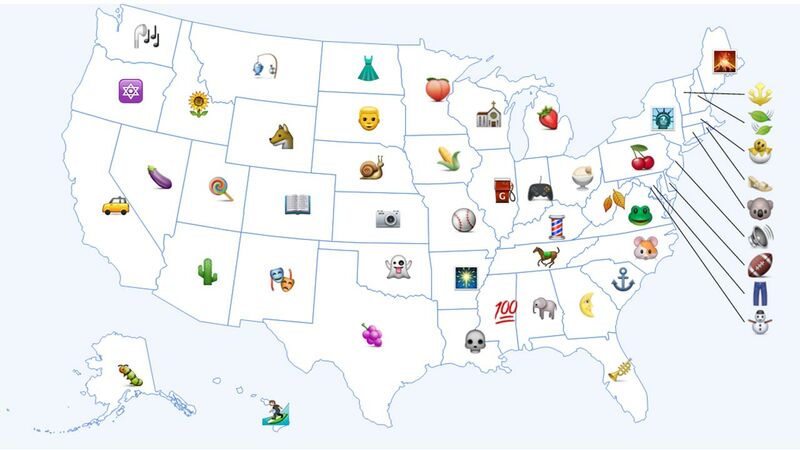 Californians most frequently use sushi, sunset and bicycle emojis. Hawaii uses the surfing, pineapple and the volcano. For New York, it's the Statue of Liberty. Illinois is the gas pump, Indiana is a gaming console and Wisconsin is a church.